On its release on June 16th, 1972, ‘Roxy Music’ was hailed by critics and music fans alike as a debut album that was as artistically controversial as it was aggressively modern: a bravura collage of impeccably nuanced styles, thunderously delivered, which announced a whole new chapter in the history of rock and pop music. Heard today, ‘Roxy Music’ remains as secure in its iconoclasm as ever. It is a record in which sensual romanticism, driving rock n roll and super-cool, machine like impersonality are merged to create a dazzling musical alloy, as lustrous as it is synthetic and as close to knowing melodrama as it is to the accelerated glamour of futurism. From the instantly electrifying, staccato keyboard chords of the album’s opening track – a short, dizzying runway to the ascending switch-back logic of the record’s first lyric, “I tried but I could not find a way…” – through to the poised, grand cafe concerto languor of its close, (suavely self-assessing, “Should make the cognoscente think…”), ‘Roxy Music’ presents the listener with a fully realised musical and stylistic world. You might compare the creative ideals of its achievement to the fusion of art and technology in the great Hollywood musicals. At the same time, you could compare the razor’s edge and scything momentum of its musical temper to the recordings of The Velvet Underground. Williams was the first critic to identify and appreciate how ‘Roxy Music’, and in particular it’s opening track, ‘Re- make/Re-model’, was both pop and rock music at its most passionate and thrilling, and a brilliantly conceived artistic manifesto, derived from a fusion of ‘high’ art and popular culture. 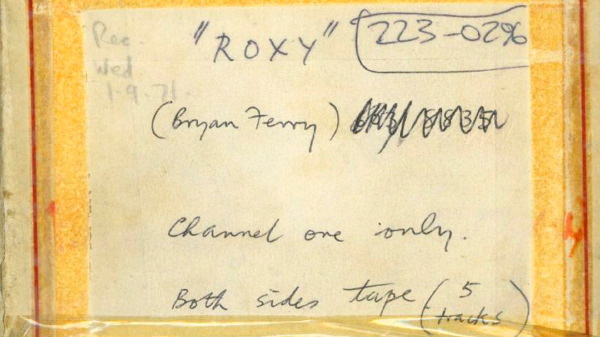 In this, both Roxy Music the group, and ‘Roxy Music’ as a debut album, had been written and conceived by Bryan Ferry in a manner which also resembled the authorship of a book, the directing of a film, the making of an individual work of art and the curatorial organization of an exhibition. The record’s cover and the appearance of the musicians were as much a statement as the music itself, foregrounding a meticulously styled (in the days long before stylists) and time-travelling glamour, that was part Pop art and part retro-futurist dandyism. What ‘Roxy Music’ achieved was a determined conflation of seemingly opposed influences –psychedelic rock, French chanson, the classical avant-garde, bubblegum Americana, English pastoral, Fifties doo-wop and even music hall burlesque. At its most refined, ‘Roxy Music’ is a perfect marriage of American glamour and European intellectualism. Ferry would cite Duke Ellington as one of his inspirations: a musician, composer and band leader who had selected players who could add specific colours and stylistic shading to the overall sound, in rather the same way that a visual artist might select a particular palette. Ferry would also, with disarming directness, cite the singer Smokey Robinson and the legendary French conceptual artist, Marcel Duchamp, as further influences and inspirations – and of equal importance – in his creation of Roxy Music. The result was a group and a record that seemed to enter the world fully formed, pristine, glossy, flawless, not a little arrogant, posed, virtuoso, hip-flicking and utterly self assured. 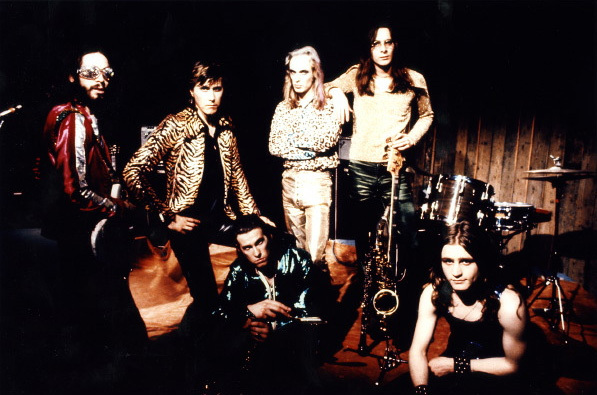 Small wonder that the leading US critic, Lester Bangs, would describe ‘Roxy Music’ as “the triumph of artifice”; small wonder, too, that in a subsequent interview for the American press, Bryan Ferry would audaciously but accurately describe the group he had created as “a state of mind”. Faced with the timeless modernity of ‘Roxy Music’ and the record’s tireless influence on generations of musicians and artists, as joyous as it is instructive, the style and dramatic insight of Simon Puxley’s salute to the album has never been equalled and should stand to introduce them.